While it remains unclear exactly what the 5G future holds in terms of real-life download speeds, palpable breakthroughs and innovations, America’s largest wireless service providers are at least increasingly clear as to the “where” of the equation. The nation’s number two carrier has already unveiled 2018 5G rollout plans for half a dozen cities, including Atlanta, Charlotte, Dallas, Oklahoma, Raleigh, and Waco, with Verizon trying to (slowly) catch up. “Big Red” is proud to announce today Houston will be joining Sacramento and Los Angeles in the operator’s first wave of 5G deployment later this year, although it’s important to remember smartphones actually capable of employing the groundbreaking technology may not be commercially released until 2019. Of course, it can’t hurt to have the infrastructure ready ahead of time in as many places as possible, with Verizon still unwilling to reveal the final market integrated into its initial launch schedule. 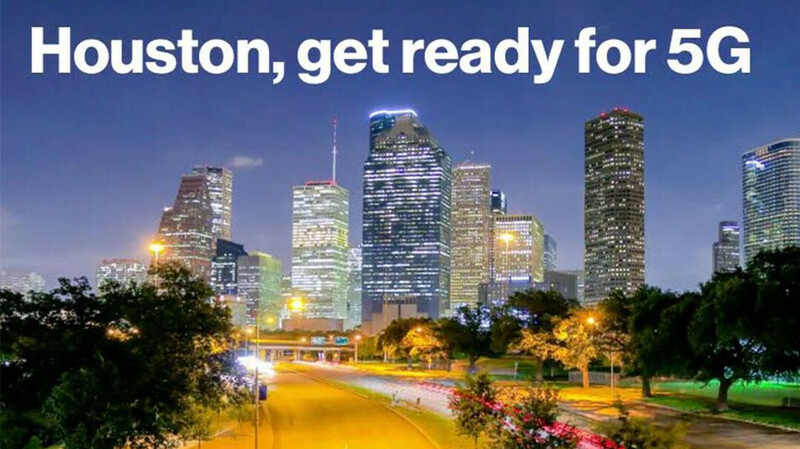 Both state and local officials are wholeheartedly supporting Houston’s inclusion in Verizon’s ambitious plans to usher the “fourth industrial revolution”, pompously billed as a “game changer” meant to “reshape cities and lead to unprecedented innovation.” Those are certainly vague, exaggerated advertising statements, essentially contradicting Verizon’s claim that “the future is no longer an abstract concept.” Unfortunately, things remain as abstract as ever, at least until these residential 5G broadband services are rolled out to consumers. Come on...no Chicago...We are the third largest city within the US. and no NYC? that is where the money is. And no DC? We are corrupt and have a lot of traffic. That's all I got.